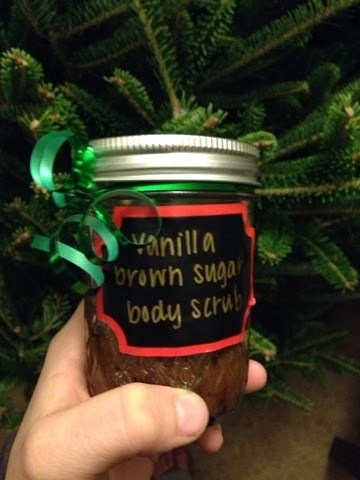 I continued my DIY Christmas gifts this year with some vanilla brown sugar body scrub for my coworkers. This actually was more of a hand scrub due to the portion size, but that's okay, it's only semantics. 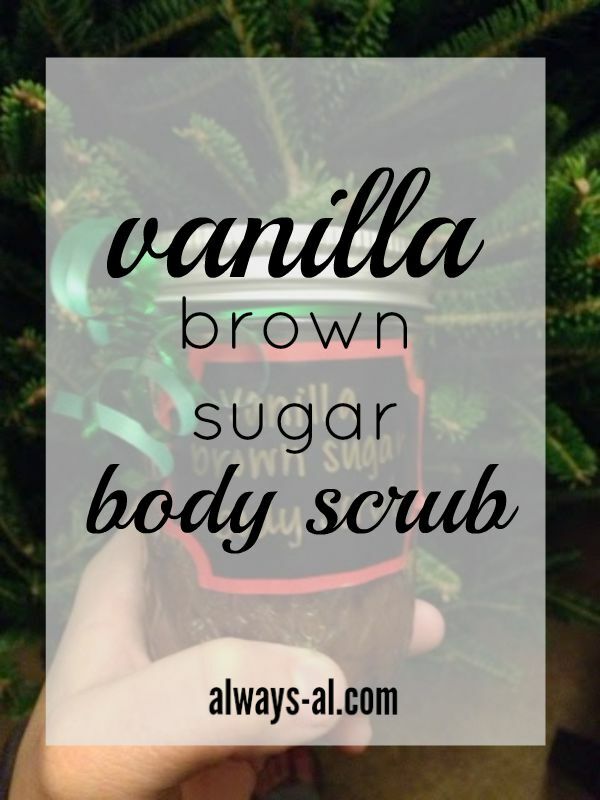 This scrub actually turned out very luxurious. The sugar exfoliates, while the oil moisturizes. And it also smells like cake, which is just awesome. This is such an easy, 4 ingredient recipe. I bought both the jars and the labels at Target (yay for the dollar bin!) and tied some ribbon that I had left over around the top. I had all the ingredients here at my apartment. 1. Mix brown and white sugar together until finely mixed. 2. Slowly add oil until you get a nice consistency. 3. Add extract. Be careful not to add too much! I did find that my scrubs started to separate a little bit in the jars. I added a little bit more sugar and they were fine. The ladies in my office loved these! I have no idea if they actually used them or not, but it was nice to see that they appreciated the handmade gifts. This time it was DIY for the win!